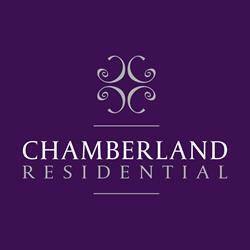 Nicole Chamberland has worked in Putney property for over 17 years. After working so many years in the corporate environment, she brings the best of both the corporate and the small agency worlds together - high standards, professionalism and high expectations but with an uncomplicated down to earth approach and competitive fees. She has lived in various locations within Putney since 2002. Zoe joined us from a sales/customer service based role and has proven herself to not only be knowledgeable and efficient but has received many positive testimonials from our clients complimenting her skills. As our office Lettings Manager she has gained the respect of all her peers and proven to be a diligent leader of the team whilst always delivering the best customer service to our clients. Tom shows fantastic dedication and amazing customer service skills to all he speaks to. Having been based in the customer service industry previously, this wasn't anything new to him, but it takes a special personality like his to consistently deliver this type of service. He is a natural with clients and feedback has been incredibly complimentary. Clients just love dealing with Tom. Vyara has one of our most critical and difficult roles here. As the leader of our back office, she must ensure that any property management issues are dealt with efficiently as well as making sure all move ins go smoothly for all parties involved. On top of that, Vyara understands customer service must be at the forefront and she is one of our top staff members for positive testimonials, She has passionately taken on this role and proves her dedication everyday with her fantastic customer service skills and patience all whilst managing her team. Amanda is our office Lettings Progressor and has a very important role. This role requires an incredible amount of patience and organisation to ensure move-ins happen swiftly and efficiently. With many positive testimonials under her belt already, Amanda has shown herself to be just the person for this sometimes tricky role. Penny joined us in June 2014 and is a big hit with customers. Never grumpy and always happy to say hi to everyone, especially if you have treats, she is a very valued member of the team and our most recent property blogger.